I love the copper with the pink! And the pink glass pumpkins are delightful. Beautiful table. The blush pink with the copper is so beautiful! I am so inspired! I love your creative use of non-traditional colors and all of your pretty pumpkins! I really love the copper and the twig flatware is amazing. I also love your mismatched dishes! So happy to be joining this tour with you! Happy Fall! Thanks, Amber! I was really happy when I found that twig flatware…it was the finishing touch I wanted for the table. I’m happy to be doing this tour with you, also! Happy Fall! OMG, fabulous do not describe how I love this post. It is now to meet you. Your fall table is beautiful. I love the combination of colors and textures. The copper items make your table sparkle. I particularly love those pretty glass pumpkins. Chic, elegant and striking! It was fun joining you on this blog hop. Have a wonderful autumn! Thanks, Janet! Those glass pumpkins were definitely the inspiration for this table 🙂 It was fun doing the blog hop with you, too! 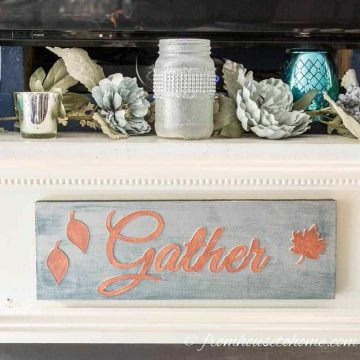 Love all the soft colors and the copper together. The copper is a great addition! Wanda – I just love the pink. You’ve inspired me to think outside the box. I’m not an orange person either but I’ve never thought pink for fall (and I love pink). 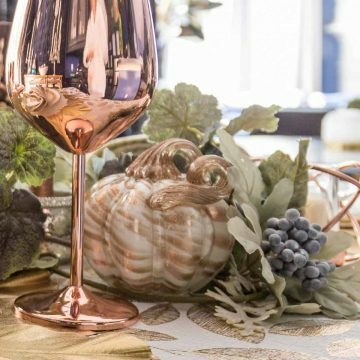 I already have rose gold stemware and rose gold silver so I’m thinking I need to start hunting for pink pumpkins for Thanksgiving. Thanks, Lynn! 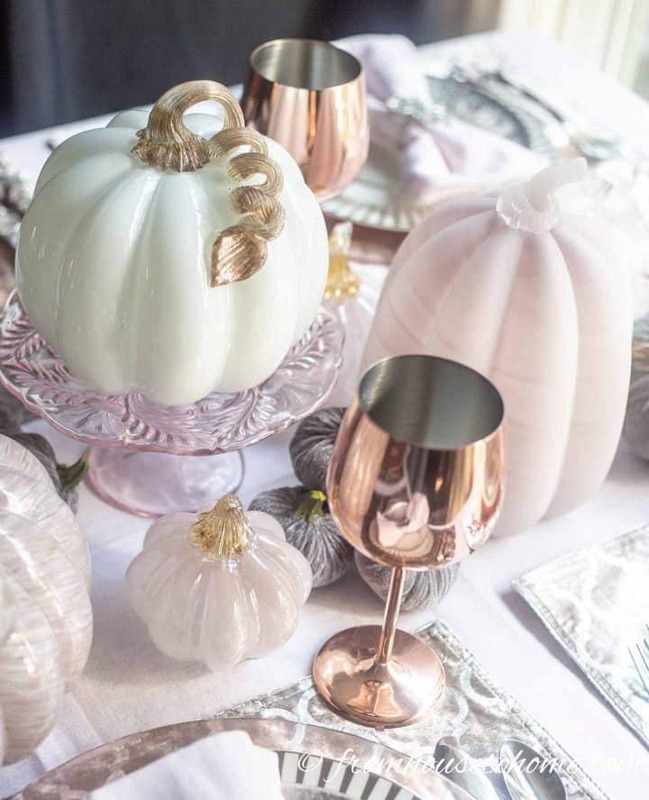 I had never thought of using pink either until I saw those glass pumpkins 🙂 I think using them with rose gold stemware & silver would be stunning! What a gorgeous table! 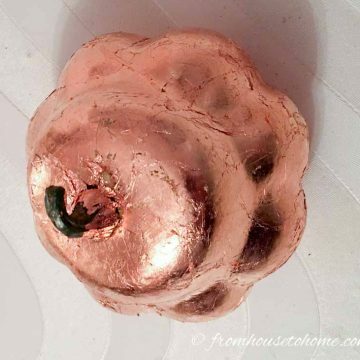 I love the pairing of the blush and copper…so pretty. It has been so much fun being on this tour with you! Happy Fall!!! Thanks, Shannon! I think copper & pink are my new favorite fall color combination 🙂 Happy fall! Thanks, Angelina! I love using non-traditional fall colors, too 🙂 Thanks for hosting! Oh Wanda! Your tables is so beautiful! I love how you played with different textures and hues of pink!!! So pretty!! !